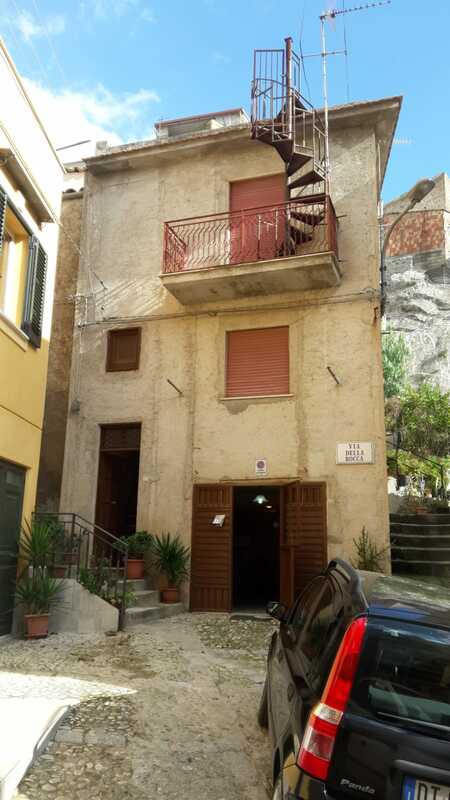 Stunning semi detached 110 square meter town house in Caccamo. Built on three floors this property has a roof terrace having fantastic views. It is possible that the ground floor room which presently is a kitchen can be converted in to a garage. possible garage on ground floor kitchen.